Once you've placed your phone on the charger, it'll lock and start charging automatically due to the special Qi-Technology Electromagnetic Induction Design. 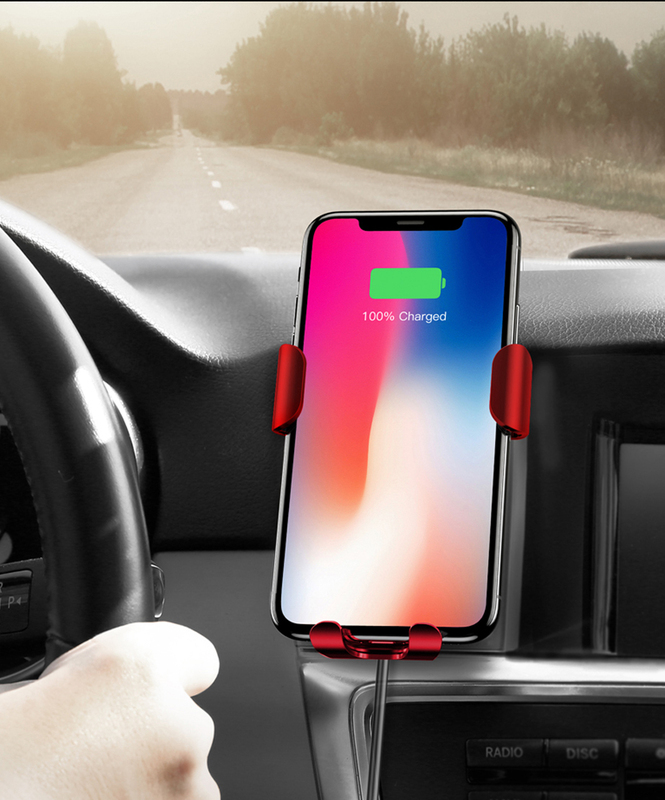 This mounts automatic lock feature means you don't have to worry about the phone moving or falling when you're driving down a bumpy road! Unique design - auto-locks & holds phone firmly. Soft silicone pads - won't damage your phone. Ball-joint pivot - for optimal viewing positions. Powerful, fast wireless charging - Simple and convenient! 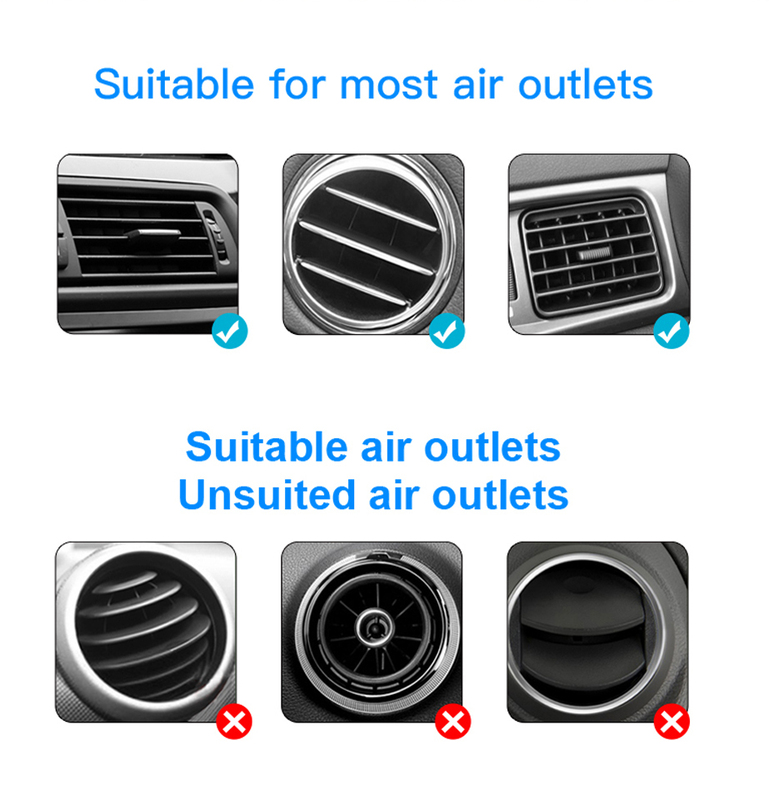 Will firmly fit any standard Car/Truck A/C vent. Suitable for smartphones with QI wireless charging technology. Built-in IC chip intelligently detects the current output needed, and optimizes the charging proccess with voltage protection, temperature control, and other advanced safety measures. iPhone 8, 8 Plus, iPhone X, Samsung Galaxy Note 8, Note 5, S6 Edge+, S7 and S7 Edge; Nokia 9, Nexus 5/6 and all other Qi Wireless-Charging Enabled Handsets!